For over 15 years, leading online business brokerage Website Properties has been helping online entrepreneurs like you create their successful exit, and sell their online business website. Or call (866) 288-7988 today. Selling your online business is likely to be one of the most important decisions you will make this year. You’ve spent many years building and nurturing your business, its important you find a website business broker that will treat your business with the same professionalism and care you used to build it. At Website Properties, we are here to ensure that the sale and transition of your internet business is handled with care – professionally and competently. Our client focused staff will help every step of the way, always representing you and your company with the highest degree of quality and impeccability. If you are looking for a website broker with the exceptional expertise to sell your internet business, you’ve come to the right place! WHAT MAKES WEBSITE PROPERTIES DIFFERENT? Experienced representation that gets results fast. At Website Properties, we are not just website online business brokers, we are internet entrepreneurs as well. The partners at our firm are independent business people who have collectively developed, operated and sold over 50 Internet based business in the last 16 years. We understand traditional eCommerce websites, content portals, online advertising and important marketplaces like Amazon.com or eBay.com. We know from our personal experience the effort you’ve invested in your business and understand how to represent it to attain its greatest market value. Our private buyers list has over 17,000 clients with acquisition criteria ranging from $100k to $25m and covering most every industry. This list is made up of active, professional buyers and generates interest in your business almost immediately. In addition, we’ll use our network of 10 business for sale portals, venture capital contacts and high net-worth individuals to further spread the word. We’ll get your business “front & center” with tens of thousands of buyers in just a few days, leading quickly to interest and ultimately to an offer that works for you.. In business, as the old adage goes, time is money. That said, there is definitely a lot to be said for accuracy. At Website Properties, we endeavor to deliver on both. We work with you to understand your business & finances in detail, re-cast your discretionary expenses and make sure your valuation is based on the true value of your business not just a cursory view of the numbers. We are dedicated to getting you the kind of valuation you need, an accurate one. Our service is a comprehensive, end-to-end offering that takes you from listing your business to finding a buyer to close the deal. Throughout the process our brokers will keep you posted on all of the serious buyer interest to ensure you are always in the driver’s seat of your business sales transaction. All our fees are performance based so your goals and our goals are always aligned…to create the best exit for you and your business. 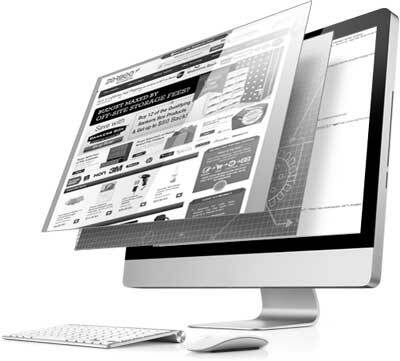 With 16 years of experience and hundreds of websites sold, we know that no two online businesses are the same. We treat each opportunity as a unique business and invest the time & resources to know, understand, value and market each business with the intent to find a buyer to maximize the sale for our clients. All our listings are handled by a skilled team and a dedicated broker with years of industry experience. There is no processing, on-boarding or hand-offs to inexperienced or out-sourced brokers. ”I worked with a broker to sell my newspaper in New England so when it was time to sell my online business in Florida I started a long search for a reliable company. I choose a local broker who “seemed” knowledgeable. Unfortunately they had no idea of how to sell an internet business. I quickly terminated the contract and started a new search. Of course every internet broker claims to be the best so I visited websites they “sold.” Then I emailed and/or called the site owners. The testimonials of several brokers included websites that were no longer active so I eliminated these. Only one broker stood above all others, Website Properties.